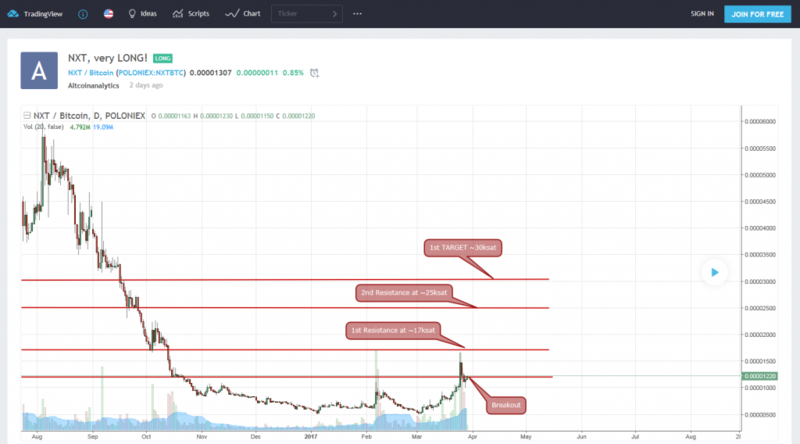 TradingView – NXT Very Long! Hyperledger, a Linux Foundation project, intends to create an advance cross-industry blockchain technology through a collaborative effort and has been doing so since 2015. Hyperledger has recently set up a special section on its website to let the public know about Hyperledger members that offer a variety of products and services around and based on various business blockchain technologies. The Nxt Foundation is included in this section. Travin Keith, the Marketing Director and a Blockchain Consultant of the Nxt Foundation, is the person in charge of representing the Nxt Foundation at Hyperledger, where numerous well-known players in the finance and tech industries are members of, such as: Cisco, Fujitsu, Hitachi, IBM, Intel, Red Hat, Grupo Deutsche Börse, J.P. Morgan, etc. 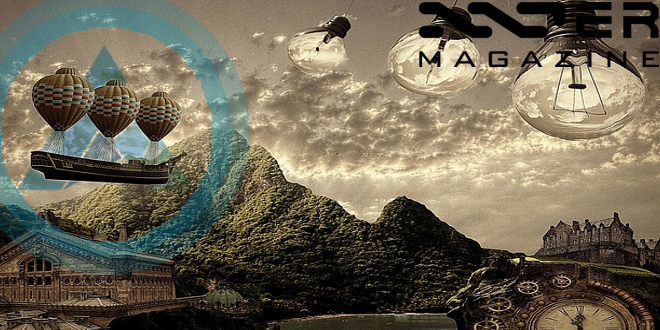 The Nxt Foundation is a nonprofit organization that promotes the use of Nxt and Ardor blockchain technology. Since 2014, we have been a point-of-contact for businesses and organizations interested in using this technology and have since expanded our operations to further support the broader community. Blockchain Products/Services Offered: Businesses and organizations can consult with us regarding the use of the open source feature-filled Nxt and Ardor blockchain technologies that we support, whether on the public chain or a private one, for various blockchain-based solutions spanning a wide range of industries. Existing blockchain features include Arbitrary Messaging, Polling, Phased Transactions, Asset Creation, and an Asset Exchange, as well as a Plugin system, to name a few. The Nxt Foundation can also connect interested parties with the developers of both blockchain platforms for customization. Industries: Any industry with blockchain technology needs. In some previous newsletters, we announced that Lior Yaffe, a Nxt and Ardor core developer, will be attending to the International Blockchain Hackaton in Tel Aviv on the 29th and 30th of March, 2017. Nxter.org covered this story by releasing two articles that include all the details about Lior’s participation at this event and the event itself. The “problem” is, that the functionality we provide out of the box with data cloud, phasing, messages, account ledger, encrypted file attachment, shared key is enough to implement this. I don’t have anything real to develop. Click here to watch a video with Lior’s presentation. 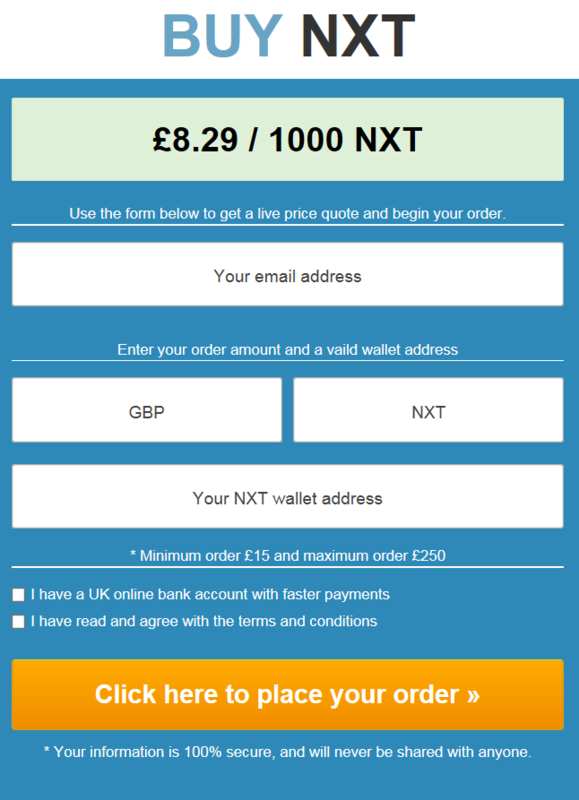 Now you can buy NXT via instant online bank transfer in the United Kingdom thanks to Cryptomate, a service that offers an easy and fast way to purchase cryptocurrencies. It benefits from the Faster Payment Service, which lets you complete your purchase really fast (however, still very far behind the confirmation speeds in blockchain technology). Simply choose the cryptocurrency you want to buy, enter your email address and crypto wallet details, and make your payment through online banking. Once your order has been paid you will receive your coins in your wallet. CryptoMate puts a strong focus on security. Nothing is more important to us than keeping our customers safe and secure while using our service. Using our peer-to-peer Trusted Vendor system means that we do not store any cryptocoins or customers’ money. We use SSL for point-to-point encrypted communications, and store all customer information in a secure database. Non-verified users have a total order limit of £250. If you verify your identity your daily limit is set to £1,000. A new version of the Nxt Reference Software has been published. The changelog includes the addition of firstIndex and lastIndex to the getUnconfirmedTransactions and API getUnconfirmedTransactionIds, in order to support pagination. Moreover, minor performance optimizations and UI improvements have been made. H2 has also been updated to version 1.4.194 and jetty has been updated to version 9.3.17. You can download the NRS update straight from your current Nxt client or from Bitbucket. Always make sure that the given SHA256 signature is exactly the same as the hash of the file. You can check it using your NRS wallet, online third party services, or locally-run third party software, so that you are absolutely sure that you are receiving the original file. The Nxt client application for the Android platform has also been updated with the latest version of Node (v7.8.0), NPM (4.4.4) and Apache Cordova 6.5.0. Keep in mind that the mobile wallet that this version brings us works much as the Light Wallet. It connects to an aleatory public node every time you run the app while being able to use almost all the features of the full client. You can download it for your Android phone from here. 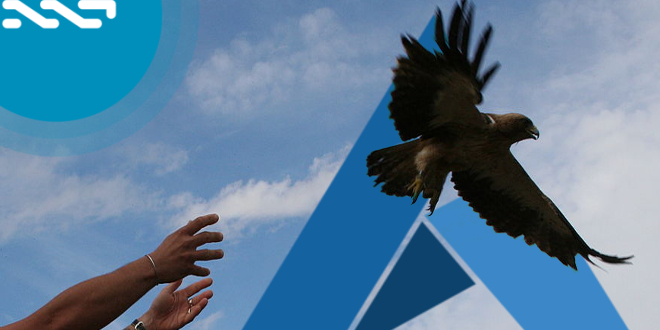 Jean-Luc, Nxt and Ardor lead core developer and member of Jelurida, has released the last version of the Ardor testnet – v2.0.3.e. 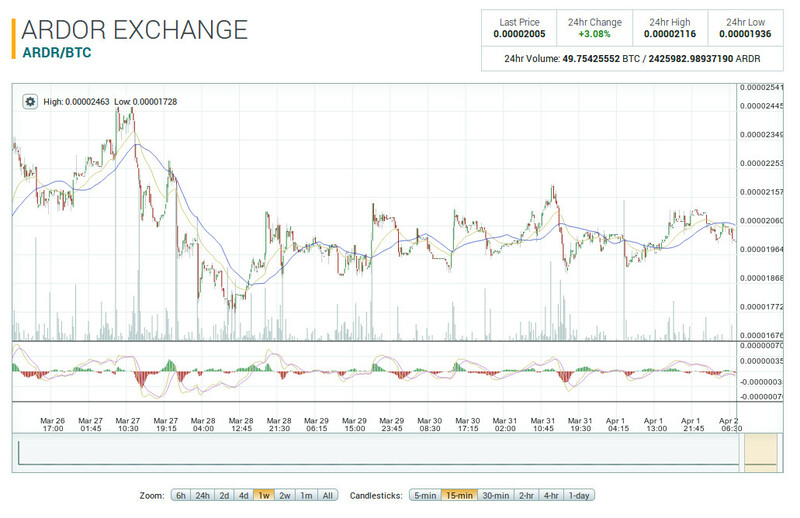 This version brings improvements such as how unconfirmed transactions are processed and in the Coin Exchange UI. Additionally, Jetty has been updated to version 9.3.17. As with the previous versions, the source code isn’t provided. You can download the NRS update straight from your current Nxt client or from Bitbucket. Always make sure that the given SHA256 signature is exactly the same as the hash of that file. The Ardor packages uploaded to the Jelurida repository will be signed with the official Jelurida software releases signing key, 0xC654D7FCFF18FD55, already used for signing the Private Blockchain Evaluation Kit packages. The latest release 2.0.3e has already been uploaded to the new location. In a few days, the old repository will be deleted, with a notice directing users to the new one. Please update any hardcoded website links. The Nxt Foundation has created a new section on its website that makes it possible to see the appearances of the Nxt Foundation in the media with direct coverage, article assistance, quote contributions, interviews, or even full articles as contributors. 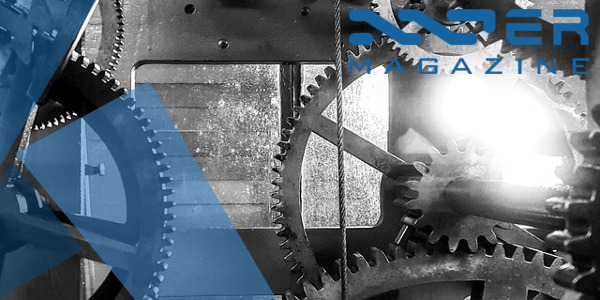 After many years of hard work, Nxter.org is playing a prominent role here, since it’s the informational media that provides more coverage of Nxt, Ardor, the Nxt Foundation and the whole ecosystem around it, than any other organization. If you would like to collaborate with the Nxt Foundation, please reach out to us at info@nxtfoundation.io. TradingView is an advanced financial visualization platform that is easy and intuitive to use, with many users around the world making use of it. The service provides all the charting tools you need to share and view your trading strategies. 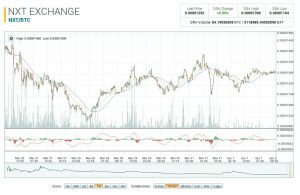 Recently, a technical analysis of the NXT price has been carried out by Altcoinanalytics. 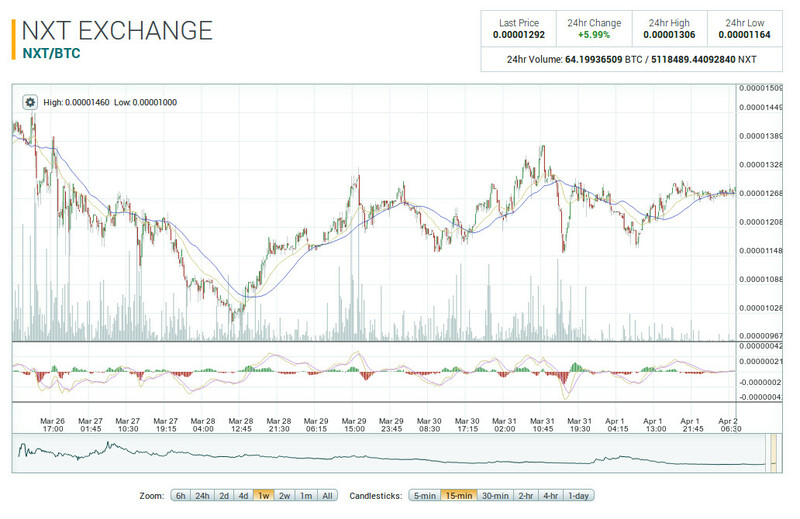 This user has given a personal impression of the path NXT’s price is going to follow. 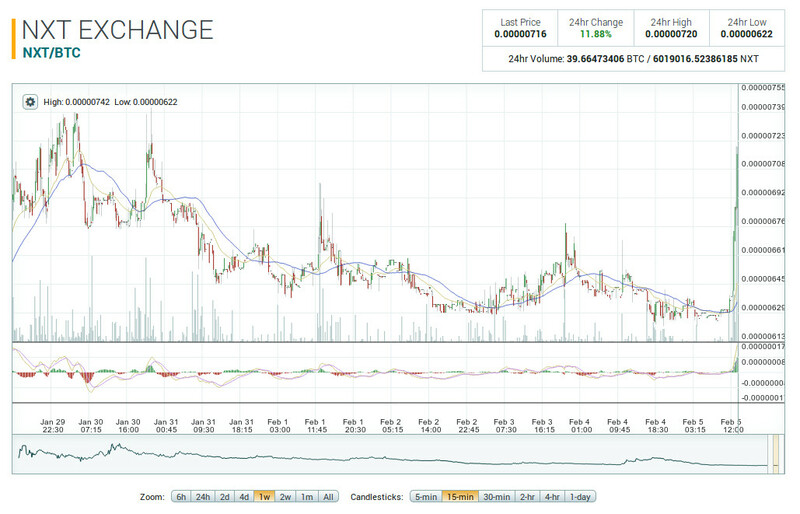 We will see great movements “UP” on the NXT … chart in the next few weeks, be excited and don’t miss the train again! We’d like to point out that we are just echoing the opinion of an analyst because it’s referring to NXT. 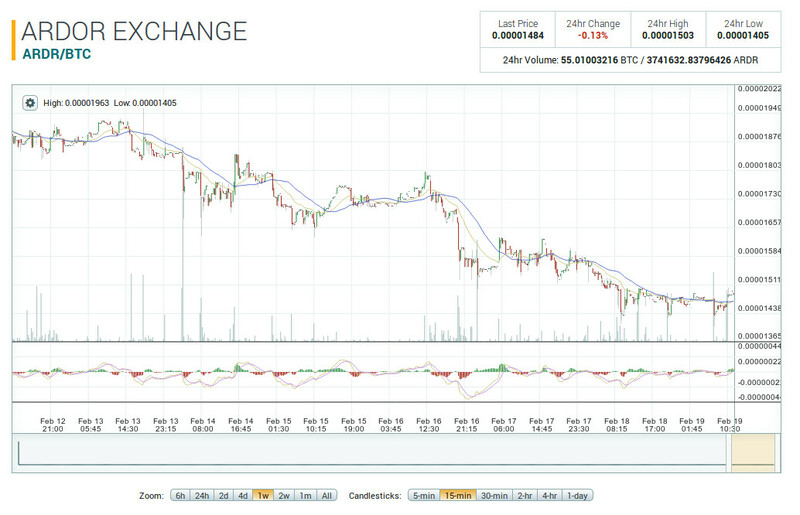 However, that doesn’t mean that Nxter approves nor disapproves this opinion. Investors are always responsible for doing the proper research and analyzing the risks when investing in volatile markets such as cryptocurrencies. Gartner – Blockchain: How Real is the Market? Gartner is one of the world’s leading information technology research and advisory company oriented towards businesses. It operates in more than 90 countries and has about 9,000 associates who assist thousands of companies around the world. Recently, Gartner hosted a special webinar by Rajesh Kandaswamy, Research Director of Gartner, which analyzes some facts and trends of blockchain technology, starting with a brief explanation about how a blockchain works, then moving on to it’s evolution, how blockchain activity can benefit most industries, and the large capatalization that this technology is achieving. Rajesh reminds us that this technology has a lot of potential, but hasn’t matured yet. There are also many notions about blockchain that aren’t true, either because they are just plain myths or because they haven’t been developed yet. 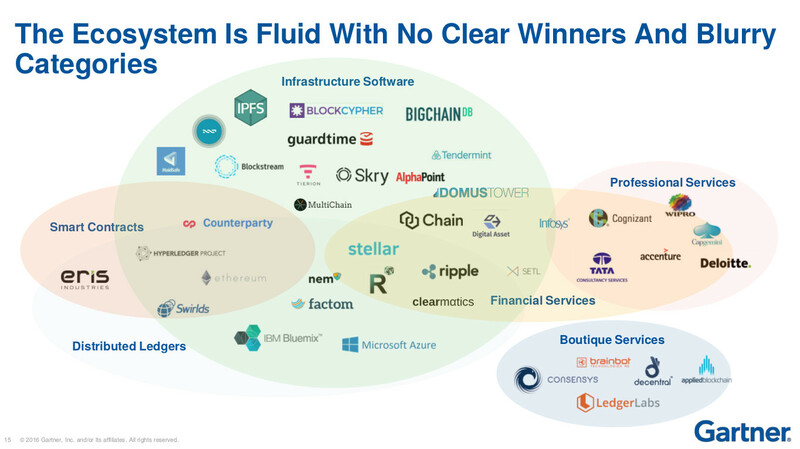 Moreover, the ecosystem is still a little blurry, with many different platforms solving different problems, as is the case with Nxt, which is included in this report which can be considered to the detriment of other blockchain platforms that the crypto market considers more appealing. Last February, Coinbar launched a joint project to increase communication, awareness, and education among different crypto platforms, as well as the promotion and expansion of the user-base of each project. 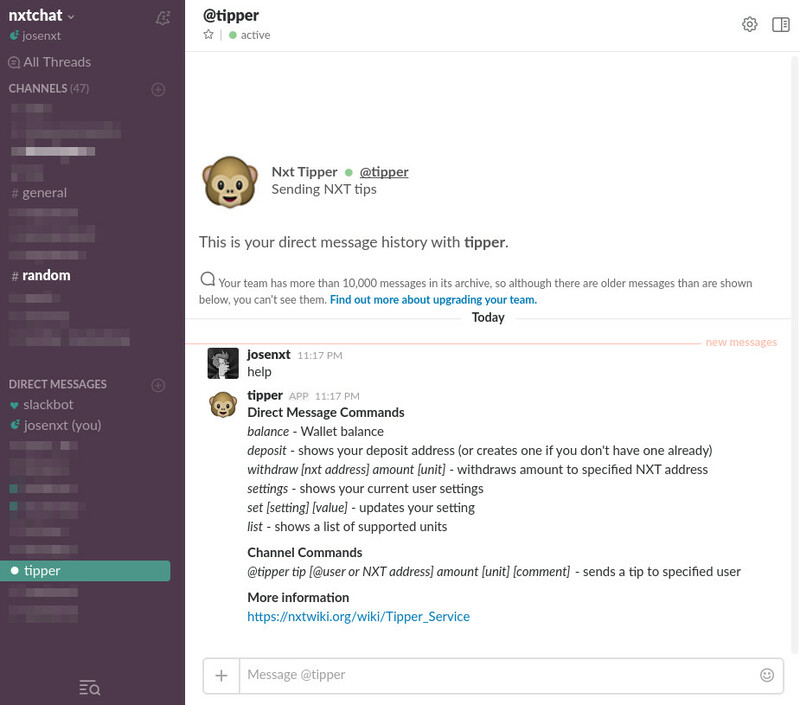 That’s the reason why they decided to connect the chats of all of these projects on Slack in a single unified channel called #slack-shared-network. This way, users can now start a friendly discussion with other crypto communities and share ideas and solutions with them. Betterbets.io, launched by members of the Janus team, is one of the most popular casinos with the highest volume among provably fair and secure bitcoin gambling sites. It’s also where you can use NXT to place your bets. Stats since the integration of NXT have been recently shared with the community. 1/8th of the entire NXT supply wagered on Betterbets! 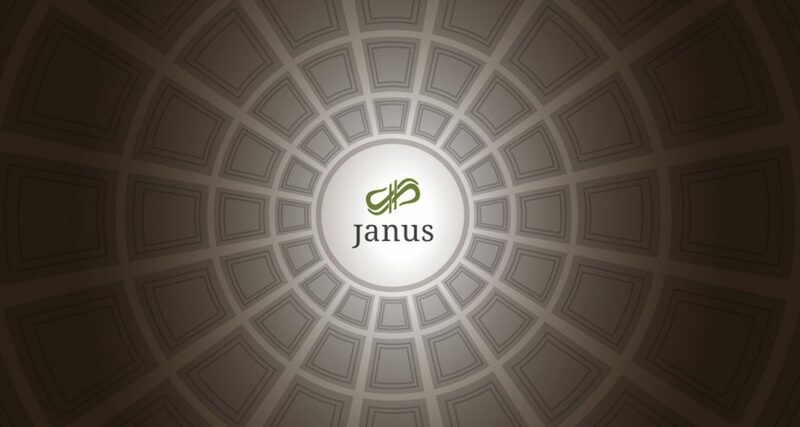 The Janus ICO is still going on and 90% of the profits coming from NXT betting at Betterbets will be given away to the holders of the Janus token. The team, according to the predefined strategy, will raise the price every three months, thus benefiting early investors while giving the opportunity to current doubters to join later, though at a higher price, when more news comes. 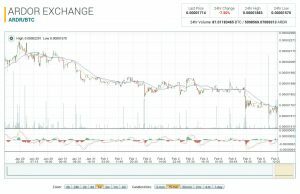 You can buy your JNS assets on Nxt’s Asset Exchange. Moreover, at the beginning of every month, (though on the 28th of March this time for April) dividends are given away among owners of the JNS asset. Zuqka, a member of the Nxt community and booster of the solar forging device for Nxt, has been assisted by Vanbreuk to launch the public a live demo of the Ardor Testnet. 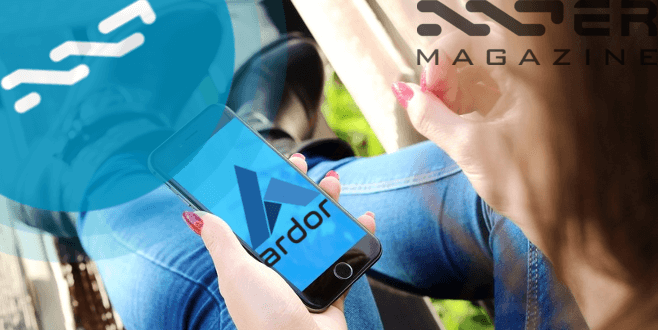 This way, anyone who wants to try out the functionalities of Ardor without having to download or needing to configure the client, as well as without having to wait to the launching of the Ardor main net, expected to happen in the third quarter of 2017. You no longer have an excuse! 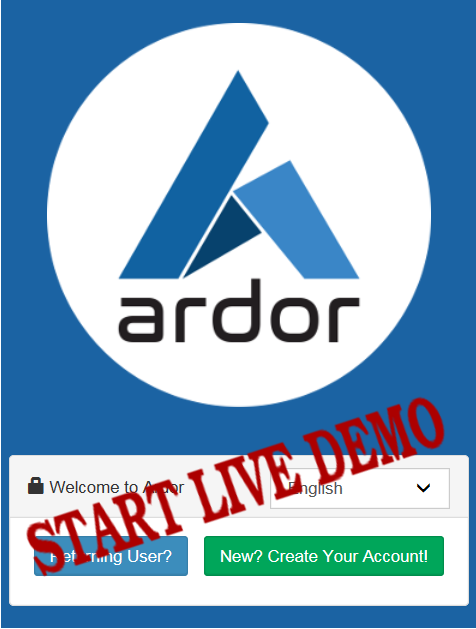 You just have to type the following address on your web browser https://demo.ardorplatform.org/index.html and create a new account to start experiencing the future Ardor platform. Keep in mind that this is an experimental version that runs on testnet, so, for security reasons, you shouldn’t use your Nxt account and passphrase to try it out. If you want to make one more step, you can download and launch locally your own Ardor wallet for the testnet. You only need to download the latest version of Ardor for the testnet and ask for some Ardor and Ignis tokens for the testnet in this thread. In addition to the already-known features that were introduced, Ardor will also bring some improvements to make it easier to set up nodes, thus strengthening the network. There will be no hallmarks in Ardor. Hallmark while being an innovative feature 3 years ago did not prove itself as adding protection to the network and its awkward design made it difficult to refactor the peer communication. In Ardor we are launching completely new and much more efficient peer communication network developed by ScripterRon which will render hallmarks obsolete. In Ardor all nodes will have same trust level. Same as any other blockchain. In nxt 1.x we do not observe significant security increase when using hallmark nodes, my understanding is that large stake holders don’t want to hallmark their nodes in order not to reveal their online identity. This defeats the purpose of hallmarking. Node owners that do hallmark their nodes attract larger traffic which just adds to centralization not to security. Hallmarks does not offer protection against this, anyone can set a hallmark. The blockchain download is always performed from several nodes in parallel so one malicious node will be identified and black listed. Light and roaming client are in danger of connecting to a remote malicious nodes. This is not a concern with submitting transactions since they are signed and validated locally but it is a concern in a case a malicious node feeds the client with false data. To mitigate this we implemented the client status icon and hallmarks doesn’t help against this anyway. 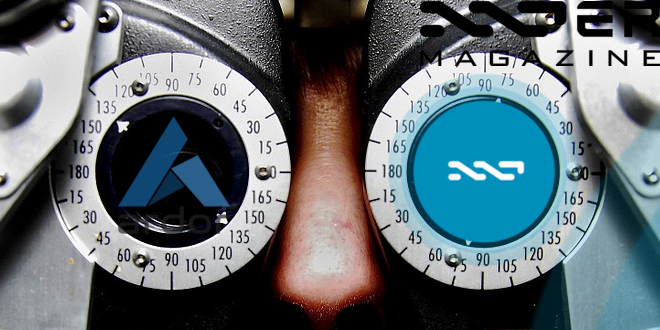 When launching the Ardor mainnet with balances based on the NXT Ardor asset, we’ll have to make the Ardor asset disappear from NXT so that users are not confused or scammed to continue trading it as NXT asset. This would be another hard fork for NXT. TheWireMaster, an active member of the Nxt community, recently published an article on the NxtFolks platform with some comments and clarifications about Nxt and Ardor, in order to make things easier for newcomers. As explained in the text, there currently isn’t an Ardor client for the main net – it’s just available on testnet. The only wallet that runs on the main net at the moment is the Nxt wallet. The final launch of Ardor’s network will take place in the third quarter of this year. Until then, it will only run on test net. 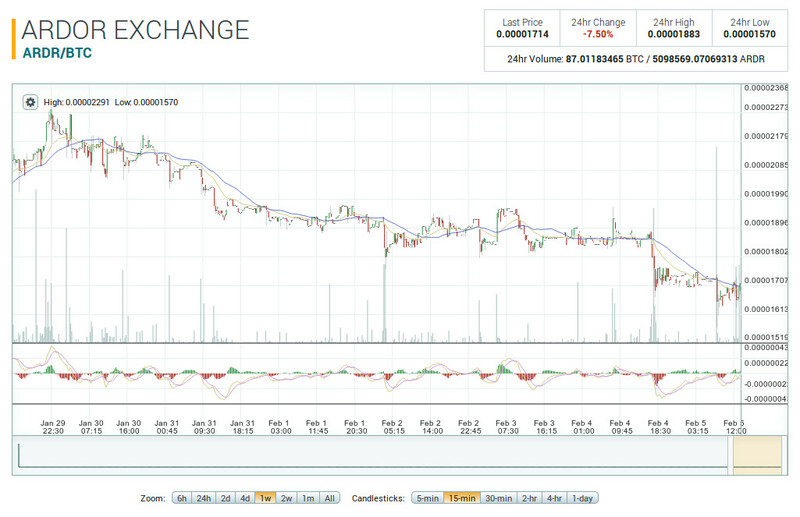 In the meantime, you can buy/sell the ARDR asset on the Nxt Asset Exchange, just like any other asset. 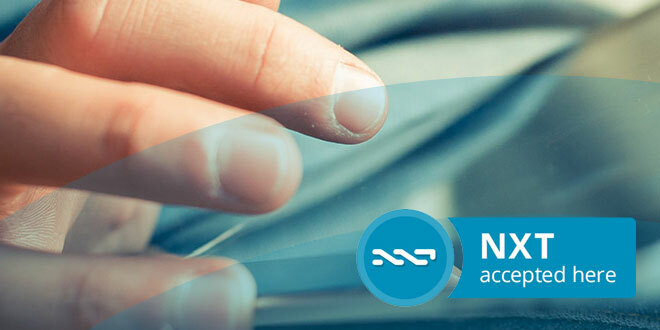 When Ardor is released, you’ll be able to use the passphrase you currently use to log into your Nxt account to log to your Ardor account, where your Ardor tokens will have been credited according to the amount of ARDR assets you hold in your Nxt account. The blockchain news platform NewsBTC, founded in October 2013, publishes useful news, interviews, and other bits of information related to the most popular cryptocurrencies. In the second episode of NewsBTC TV, they focused on the Nxt blockchain. This time, Bas Wisselink, advisory board member of the Nxt Foundation, and Co-Founder of Blockchain Workspace, appears in an interview where he gets the opportunity to show the working space that the Foundation has at A Lab Amsterdam, Lab.208. Bas also makes a brief introduction explaining how Nxt works, its origins, its functionalities, some differences with other platforms, etc. Coin Idol asked Bas Wisselink, advisory board member of the Nxt Foundation and member of Blockchain Workspace, for his opinion as an expert in blockchain concerning a dispute between another platform and Coinidol. Bas Wisselink: …we were the first non-bitcoin platform that allowed people to issue Assets. So we had our shares of weird propositions that still managed to scam a lot of money out of people and we as a community were continuously forced to think about how to handle them (and whether we should do something in the first place). We also had our mini-version of the DAO debacle, when an exchange was robbed of 5% of the complete supply of Nxt tokens. To roll back, or not to roll back? Our community decided overwhelmingly not to, and instead we helped the exchange to do negotiate a rebuy from the actual robber. The exchange, who had very vocally (and understandably!) was for a rollback, took this option and bought back what they had lost. (Bas) represented NXT … and assisted in negotiating the return of 45 million stolen NXT’s from the BTER exchange alongside Lawyer-of-NXT, DomP, and Amadeus. 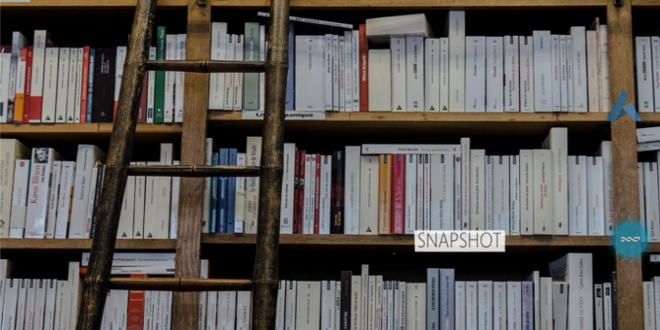 Jacques Favier, the person in charge of La Voie Du Bitcoin, is also the owner of one of the copies of the collectors edition of “SNAPSHOT – Nxt, Unsurpassable Blockchain Solutions”. Now, after reading the book, he is making his personal opinion about it public on their blog. 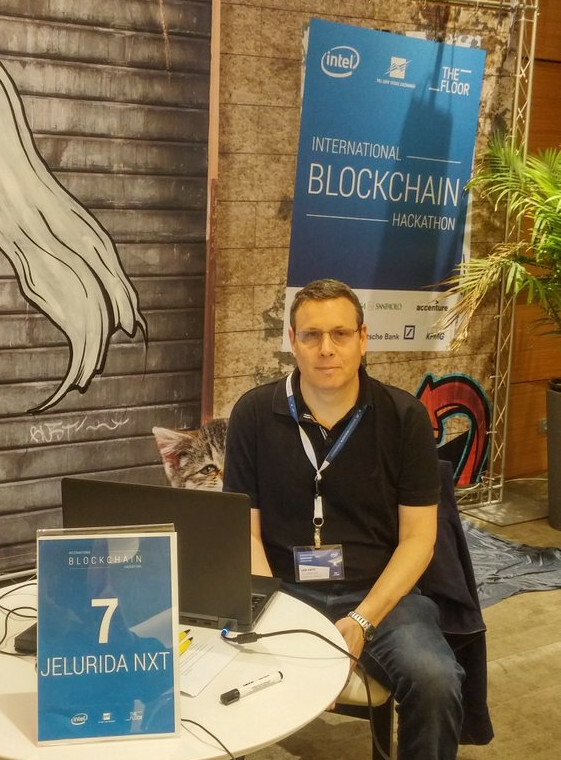 Jacques, known for being an articulated writer with an elaborate rhetoric, has analyzed the book, which includes the most relevant events related to this platform that have taken place over the past 3 years: the ICO process carried out by BCNext, the anonymous creator of Nxt, the disruptive features of the platform, the decentralized community, the BTER hack, the Nxt Foundation… and many other aspects, all until reaching the Ardor chapter. A good portion of the book can be read as a type of political manifesto about decentralizacion…. 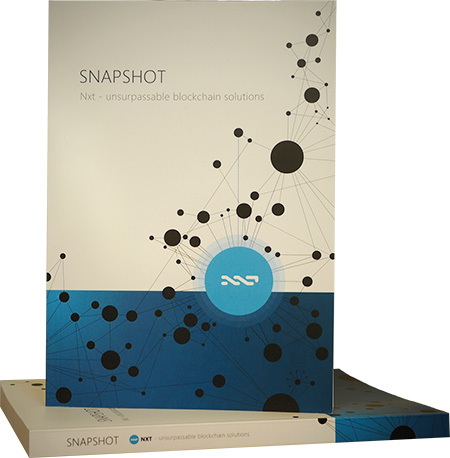 Remember that you can buy a copy of “SNAPSHOT – Nxt, Unsurpassable Blockchain Solutions” at the Nxter.org shop. You can also choose to download the digital edition for your electronic devices, or a paper edition, thanks to the Print-On-Demand service by Lulu. As we mentioned in our previous newsletter, the Nxt Foundation will attend Blockshow Europe 2017, an event organized by CoinTelegraph that will take place in Munich in just a few weeks. It’s expected to become the most important blockchain-related event in Europe this year. Banners need to be approximately 2m high by 1m wide, in a standard roll-up banner style. I’d like to have one for Nxt and one for Ardor,or maybe one for the Foundation plus one for Ardor. They need to be eye-catching and informative, but not too complex. Anyone want to help out by providing a design ? I can get the printing done in NL and take them with me to Munich, so that’s under control. We also need a flier or brochure to give away, just to explain in very clear English exactly wtf Nxt, Ardor and the Nxt Foundation are all about. Again: eyecatching and informative, please. Any text writers who’d like to have ago at this, get in touch. A designer would also be welcome. So now you know, if you have some time and energy to help the Nxt community, this is the right time to do your bit. 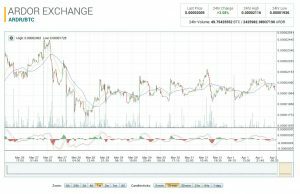 Wolffang, an active member of the Nxt community, has made a public call asking for more help to promote the benefits of Nxt and Ardor. As you probably already know, a decentralized community like this doesn’t have a stable source of income, but rather is composed of a lot of volunteers who work tirelessly and mostly in an altruistic way not only to promote these platforms, but also to inform current users about these developments and other day-to-day matters. 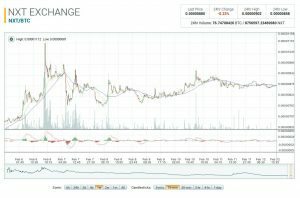 As most know Nxt and Ardor have a great community which is really helpful towards others. The Tech is also one of the best around today in crypto. 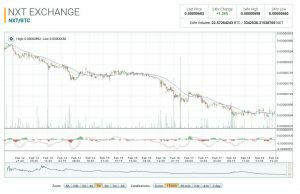 NXT and Ardor are way underrated compared to the rest of crypto projects. 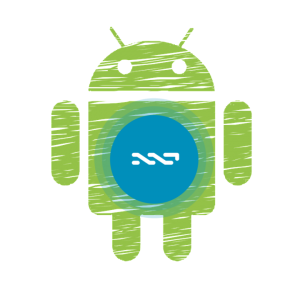 Besides the great things the Nxt team is doing we can give them a help with promoting, showing and telling people about Nxt and Ardor. It will help your own investment too. I Hope you will help out with sharing the tweets, discuss on subjects, help people out, upvote reddit posts, maybe help in polo trollbox to let traders know the good things etcetera. 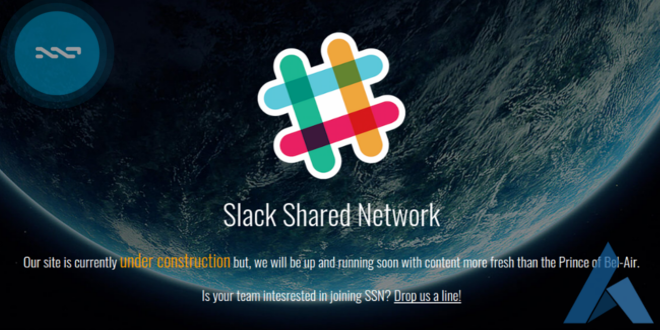 The latest news is in the #swarms channel on slack. 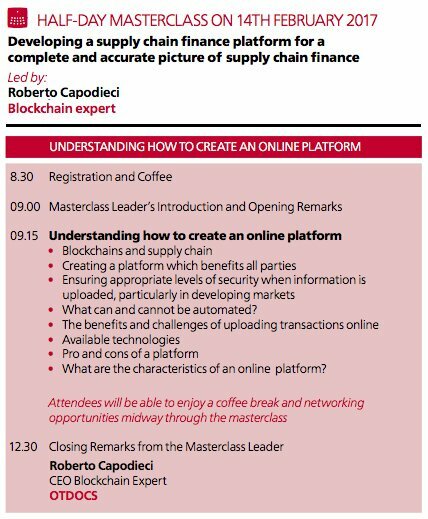 Roberto Capodieci, CEO of Debune, among many others, offered a masterclass about “Open Blockchain Platform For Trade and Supply Chain”, this past week during the 2nd Annual Supply Chain Finance and its Alternatives in Singapore. Ladies and gentlemen, welcome to this blockchain workshop. It is gonna be a great workshop. It is gonna be absolutely fantastic. Believe me. I know all about workshops. It is gonna be the best workshop. 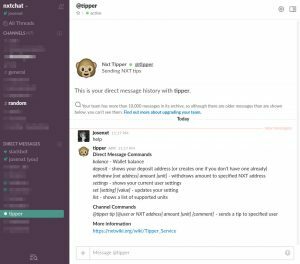 Nxtswe keeps bringing new functionalities to his tipper bot, the tipping monkey of Nxtchat on Slack. 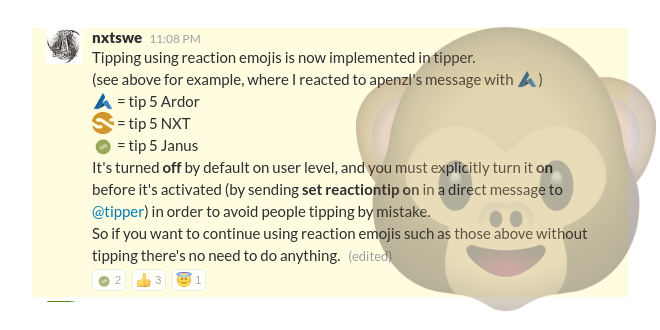 With this new update, you can now tip other users just by attaching emoticons to comments of other users on Slack. Tipper already has a good handful of functionalities built-in and more functionalities are regularly added in. To use this functionality, start a private conversation with the bot Tipper by typing “help” to know all the characteristics and get some help using it. At nxter.org, due the positive reaction from the members of the Nxt community welcoming the first printed edition of the book “Snapshot”, the first book about the Nxt platform, and also thanks to the numerous photographs with clear evidences of happiness for getting their book which many owners have published publicly to show their little treasure (which they don’t hesitate to pose with), we’ve decided to start a new section on our website called the Hall of Fame. 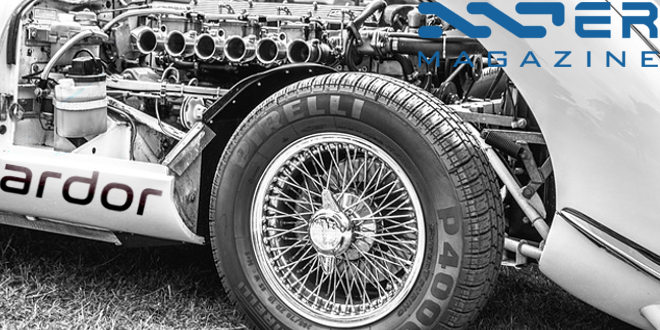 The newest addition to the Nxter Hall of Fame features the Snapshot book that has traveled (Thanks Travin Keith!) to the northernmost public library in the world, in the town called Longyearbyen in the Svalbard archipelago. 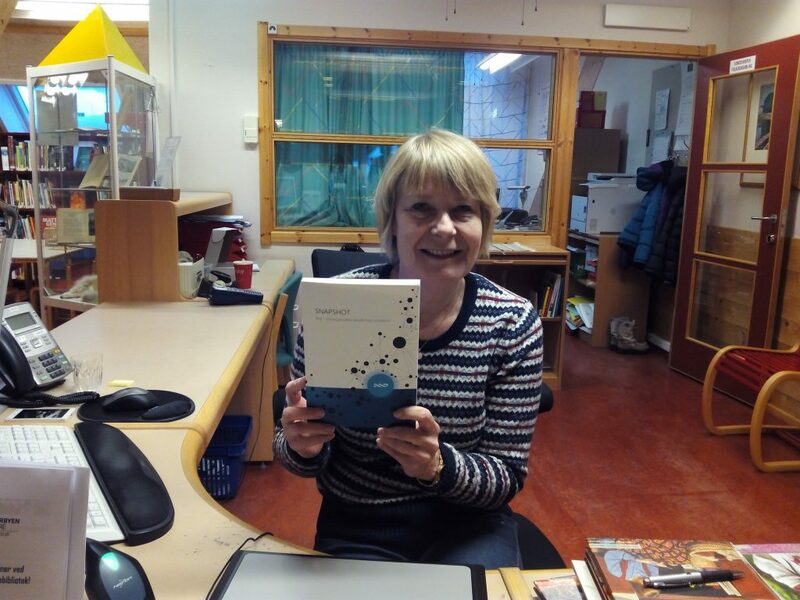 In the picture, we can see the happy librarian in charge of this establishment showing us their newest acquisition. Congratulations! Some other members of the Nxt communty are already present in our Hall of Fame. Click here to check it out! On the 11th of February, the tesnet version of Ardor was made available for the public to use. 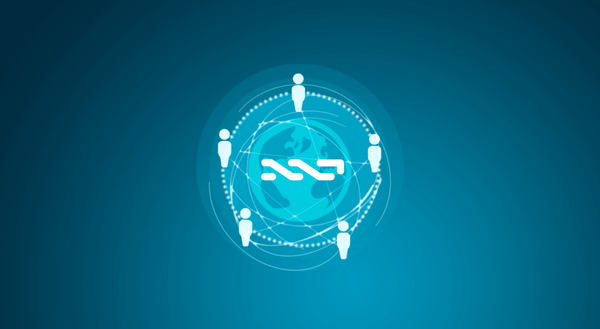 The Nxt community, one that keeps growing, has stepped forward to test the features of the new platform and to check all the functionalities, both new ones and the ones that were already in Nxt: child chains, assets (that you can use on all child chains), bundlers, aliases, data cloud, account control, monetary system, encripted messaging, shuffling, decentralized voting, phased transactions, plugins, decentralized purchasing and selling, and many others. 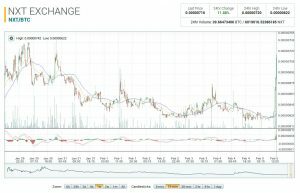 Ardor is only going to be in testnet for about 5-7 months until mainnet launches, which is expected to happen sometime in the third quarter of 2017. 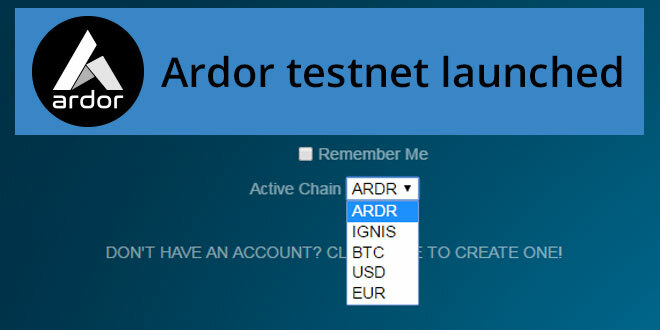 To participate in the Ardor testnet, you have to download the latest Ardor client here and ask for some tokens for the testnet here (ARDR, IGNIS) in order to start testing the new platform by yourself. 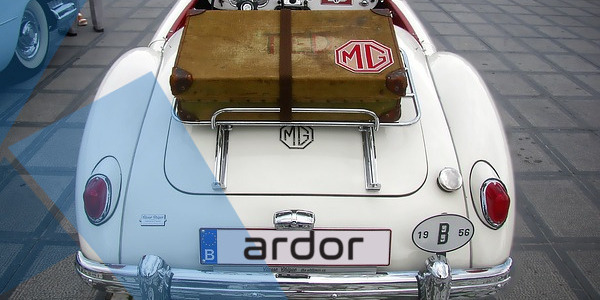 On the other hand, if you don’t have time or aren’t interested in helping with the test and just want to feel the experience of surfing through Ardor’s GUI, then you can use some of the open nodes that let you access this testnet, such as the one set up by Riker http://107.170.3.62:26876/index.html or any other node listed here and create a new account (for security reasons, never use your real Nxt account here) to explore everything that Ardor can offer you. A new version of the Ardor testnet has been has been released. The changelog for this version includes some minor bug fixing and improvements to the client UI, as well as peer networking, and improved blockchain download. A Node JS module has also been added. This is an experimental release for testing only, so the source code is not provided with it. A Mac installer has also been included with this version. You you can download it here and start testing Ardor right away with your Mac computer! 1. The API library had to send the passphrase directly to a remote node in order to sign transactions, this meant that the remote node had to be trusted, this severely limited the usability of the API library. 2. Some client libraries did implement local transaction signing but still were unable to validate unsigned bytes data returned from a random remote node thus still making it somewhat insecure to submit transactions to a random remote node. 3. Client API libraries were developed by 3rd party developers which sometimes couldn’t keep up with the protocol changes. To quickly get started using the node JS module, see instructions in the ./html/www/js/README file which is part of the 2.0.1e release. The ./html/www/js/sample folder contains several code examples to get you started quickly and provide a reference implementation. Docker is a tool that can package an application and its dependencies in a virtual container that can run on any Linux server. This helps enable flexibility and portability regarding where the application can run, whether on-premises, a public cloud, a private cloud, bare metal, etc. As we mentioned in previous newsletters, running NRS in a Docker container can be even easier than running it “the normal way”. It’s especially useful when running Nxt on a VPS: No java required, no download, no specific configuration… In addition to this, in spite of being a type of “virtual machine”, it does not decrease performance. 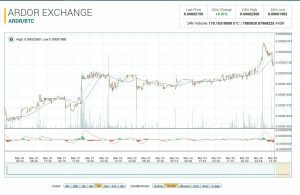 This week, some media outlets have covered the launch of the testnet for Ardor. A novel multiple blockchain architecture that allows users to create their own, customized subsidiary blockchains, secured by the main chain. Transactions from these blockchains, known as child chains, are removed from the main transaction ledger approximately every 24 hours, though special dedicated nodes, known as archival nodes, can keep all information if so desired. This approach enables Ardor to scale up to global transaction loads. Ardor solves the blockchain bloat issue with this prunable child chain infrastructure, which side chains do not solve. In our previous newsletter, we talked about the research paper titled Scripting Smart Contracts for Distributed Ledger Technology which included a certain number of inaccuracies about the Nxt platform. Fortunately, Pablo Lamela, one of the authors of the article, took the time to chat with Lior Yaffe to clarify some of these issues. Just a few days latter, Pablo announced some amendments to their research. Lior and the Nxt community were very glad and thanked the authors for their interest in clarifying all the details about Nxt. We have modified the paper in https://eprint.iacr.org/2016/1156.pdf to improve the description of Nxt. Thank you @riker, for helping us solve our doubts about Nxt and Ardor. Let us know if there are any other problems with it. Thanks Palas the paper is much more balanced now. After the successful sale of the printed collector’s edition of “SNAPSHOT – Nxt, Unsurpassable Blockchain Solutions”, where 200 numbered units were sold in record time, Nxter.org has finally made this book available in digital and PoD (Print on Demand) editions. Now, anyone who’s interested in owning a piece of Nxt history can buy it. 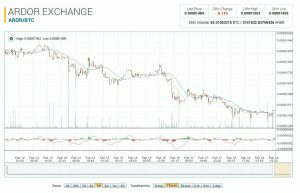 You can buy the book straight from Nxter.org or through many other popular distribution platforms. The book is a collection of articles, which, after a short introduction to the concept of blockchain technology, looks into the history of Nxt, the world’s first 100% PoS blockchain 2.0 platform that’s oriented to both users and businesses. From its tumultuous launch in 2013, the pros and cons of its distribution model, and the anonymous inventor, BCNext, who handed over the source code to the community and gave them the responsibility to enhance the tech and ecosystem, the book takes the reader on a journey through ups and downs, features, use cases, business projects, and organizational adoption of the technology. 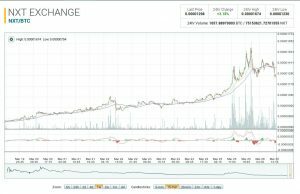 – A collection of articles, which, after a short introduction to the concept of blockchain technology, looks deep into Nxt. The multi-million dollar fintech and blockchain industries have been advancing at a rapid pace over the past few years, so why is Nxt, an underfunded open source project, still the most advanced? In 228 pages, the articles found in this book tell the story of how a group of mostly anonymous people, investors, cryptographers, economists, and, certainly not least, software developers, as well as businesses, set out to change the world. From this moment on, much more testing on the features that this platform offers is needed to be done before the launch of mainnet in the third quarter of this year. Thus, this period of time is not only meant to let people have a glimpse into the capabilities of Ardor, but will also let the developers make sure that the platform works properly and make the necessary minor adjustments. This is an experimental release for testing only. Source code is not provided. Come on and join us to test the new platform! 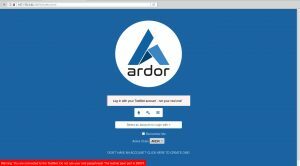 You can download the software from Github and start experiencing Ardor right now! 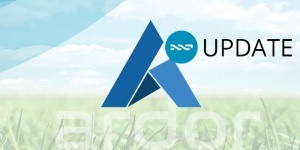 This new version of the NRS has been released just one day before the launch of Ardor’s testnet. The changelog for this version includes some minor bug fixing, small changes in the way the media files are dealt with in the Data cloud, as well as updates to the Jetty version. You can download the NRS update straight from your current Nxt client or from Github. Always make sure that the given SHA256 signature is exactly the same as the hash of that file. You can check this using your NRS wallet or other online third party services that allow you to do so, so that you are absolutely sure that you are receiving the legitimate file. The prototype is based on the NXT distributed cryptographic platform, and uses ISO 20022 international standard for messaging. NSD has been working on the project together with DSX Technologies. The project’s open-source code is available on GitHub. As we mentioned in a previous newsletter, the NSD has ignored the GPLv2 license conditions, and still hasn’t released the code of their new development. The repository they previously used (https://github.com/dsx-tech/e-voting/tree/master/sources/e-voting) only shows a CLOSED SOURCE “nxt.jar” file under the “libs” folder, and the client-side code, which is used to interface with that modified Nxt server code. Therefore, the NSD is clearly breaching the conditions of the license. Does the GPL require that source code of modified versions be posted to the public? …if you release the modified version to the public in some way, the GPL requires you to make the modified source code available to the program’s users, under the GPL. We’d like to remind businesses, financial entities, governments, or any person interested in using the Nxt code, that they must respect the license agreement. Websioux, admin at scriba.io, among others, and member of the Nxt community, has published an interesting article on the news platform Decentralize Today about the Nxt blockchain and the future Ardor platform. The text talks about the new usage possibilities that this technology offers to entrepreneurs and how it can be profitable for their traditional business. 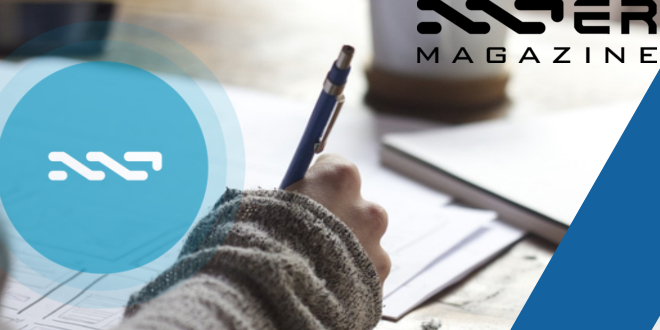 The author accounts for some features included in the Nxt blockchain and explains some practical use cases for businesses, such as: open ledger, which allows you to see all the transactions from/to an account; the data cloud, which allows you to publish small files on the blockchain; private messaging, which allows you to issue contracts that can be verified by consulting the blockchain; account control, which can be used to organize governance in a transparent way, and many more. The internet is available 24/7 for a party to sign any contract and for outsiders to verify contracts integrity! The initiative for starting a nuclear regulatory commission using Nxt, which we mentioned in a previous newsletter as well, is one of the innovative examples that the author, already a member of that club, sets as an example of what can be achieved with Nxt. 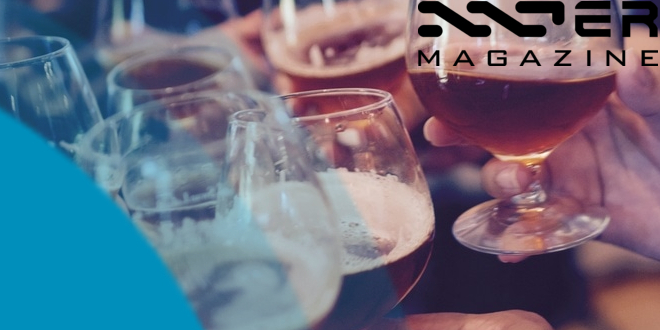 However, the text is correct when mentioning that Nxt has a comprehensive API that allows users, together with the Smart Transactions that are implemented in Nxt, a great versatility when developing something close to a Smart Contract. Have a look at the Developers Section to learn about all the features that Nxt has. The Nxt Foundation is very proud to announce that the Nxt and Ardor community will be represented at the CoinTelegraph BlockShow Europe. We’ve got a booth/table in the main exhibition space, and will be organizing an Nxt/Ardor presence at the show. The article presents a novel institutional perspective on the distributed consensus and ledger technology known as blockchain. The text talks about the tools that blockchain technology brings to push Distributed Autonomous Institutions and the benefits they would bring, such as facilitating global interactions, contracts, and value transfers, all of which are achieved without the need for the human-based third party. A proposed solution to this problem is the use of child chains to coordinate asset-based transactions as implemented in the new blockchain alternative Ardor… In contrast to Ethereum’s support for general-purpose code, Ardor will concentrate on specific asset-based transactions… The security model is further strengthened by supporting complex preconditions for the execution of transactions… The concept furthermore includes built-in mechanisms to manage governance and decision-making processes in a reliable and anonymous fashion. Riker, one of the Nxt and Ardor core developers, has invited users on NxtChat on Slack who have a solid knowledge of Nxt to test the new Ardor software on the testnet, in order to speed up the opening of the testnet to general users, which is expected to happen in the near future. As we are wrapping up the Ardor testnet release, and before we release it publicly, we are looking for power users who know NXT 1.x well to join us in testing the platform. This would be a volunteer base work (unless some whale would like to put an NXT or Ardor bounty for this). You have to be very technical, not easily frustrated and if you have prior background in software development and testing that’s a big plus. Access to an Ardor testnet public node first, then access to a binary distribution, and the chance to work with folks like JL, myself and other core devs side by side, who knows, perhaps this would also develop into an employment opportunity in the future. Riker, one of the Nxt and Ardor core developers, has invited users on NxtChat on Slack for some volunteers who have a solid knowledge of Nxt to test the new Ardor software on the testnet, in order to speed up the opening of the testnet to general users, which is expected to happen in the near future. It seems that things are running smoothly and this pre-release test will help refine some minor details to make Ardor, at least, as stable as Nxt has been throughout all these years. 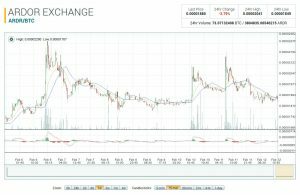 Ardor is on its way. We are to be excited! Throughout January, a thousand new members have joined Nxtforum. This is the second month in a row that this membership growth figure has been achieved. 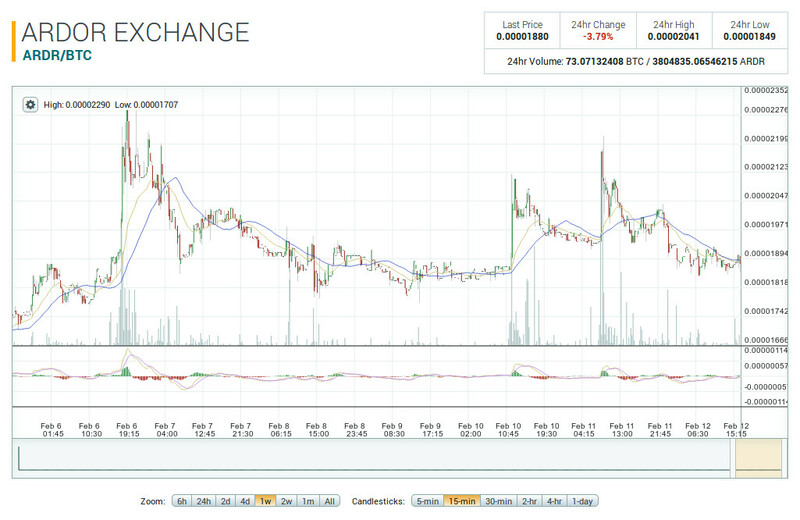 This large amount of newcomers, which is starting to become a regular occurrence, is a good sign of the interest that blockchain enthusiasts have put in Nxt and Ardor, which also seems to reflect on the price rise that Ardor has experienced during the past few weeks. The Janus team has distributed the first dividend payment coming from Betterbets.io, the betting platform that belongs to Janus, among its investors. The recent successful integration of ShapeShift in this platform allows the players to buy NXT using other cryptos and place their bets straight on this platform with NXT. 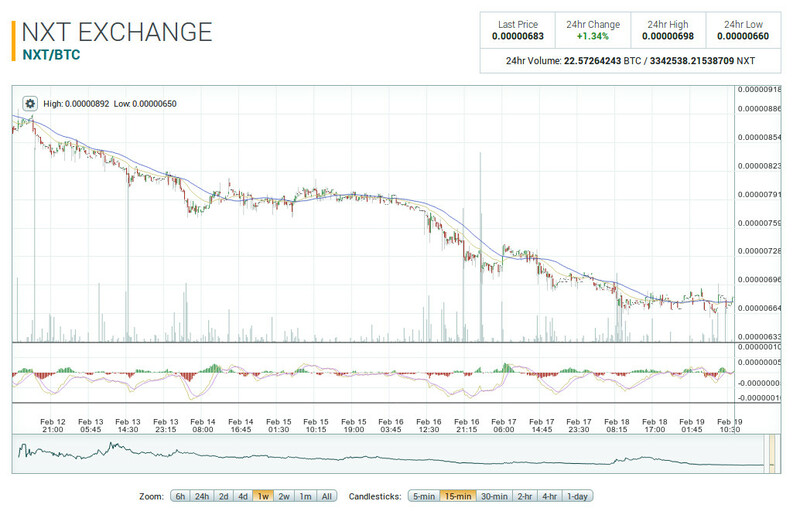 Just to give a recap for stats sake, it’s been about 11 days since NXT on Betterbets.io went live without downtime. Total: Bets: 965,920 Wagered: 2,255,526 NXT. After running a couple polls, I decided to split the dividend payment between ARDR and NXT. Everyone should see two dividend transactions in their accounts…one as a NXT payment and one as an asset transfer (the ARDR). 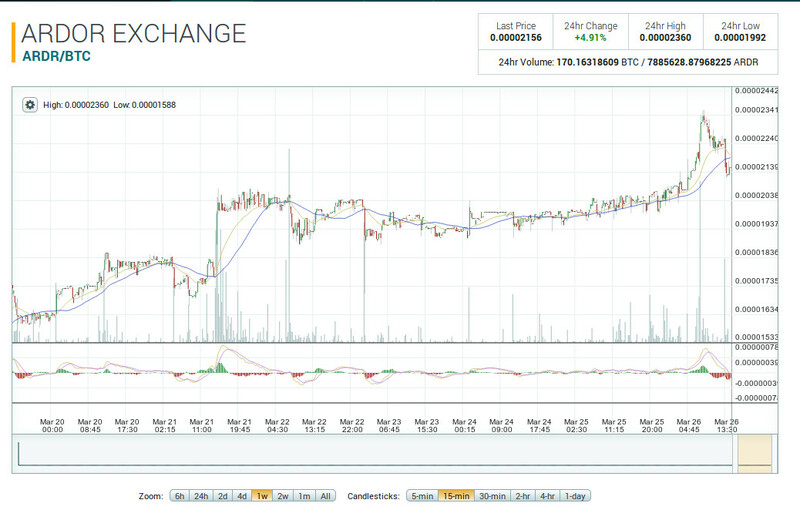 The dividends totaled about 3.4BTC and new software updates seem to be chugging along quite nicely. This has been the forth week in a row where we get to see some previews regarding new Ardor functionalities. Damelon, of the Nxt Foundation, has shared some screenshots where we can see the new Dividend Payment feature that will be included in Ardor. 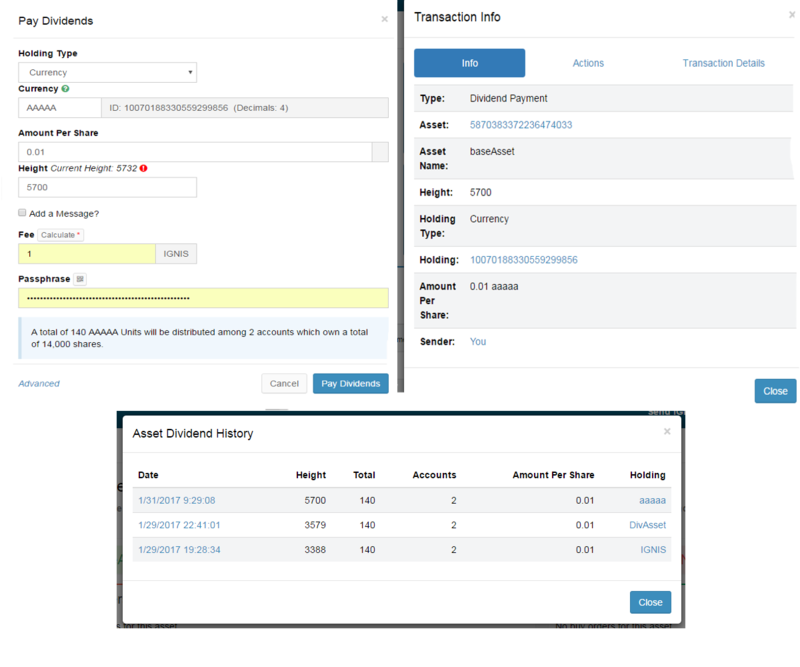 These images let us know that, when using Ardor, any business or project owner will able to perform dividend distributions to their investors with any asset or coin integrated on Ardor, or using the child chain coin. In our previous newsletter, we mentioned a list of pending tasks that Riker shared with a thread at Nxtforum. These tasks help give indication on the upcoming release of Ardor’s testnet, which will happen soon after all of them are fulfilled. The server code is almost completed and the APIs are stable, so there isn’t much left. Things are looking good overall. One thing for sure, we are going to confuse you a bit with the fee structure from bundlers to forgers so be patient. Still hesitant if to open the testing to more people since currently it is much quicker to find bugs than to fix them. Whoever already has access is welcome to continue testing and if all goes well I’ll open this up for more testers in the next couple of days. Nxt platform strives to knock out traditional messengers by its new service. Company have decided to replace the traditional email systems with blockchain, allowing mail to be sent through a decentralized network such as CryptaMail. CryptaMail requires one NXT per message. With prices set for each message, we might have to pay for privacy in the future. A few weeks ago, we mentioned the announcement of Adel, a new cryptocurrency ecosystem that benefits from the technology of Nxt to create, develop, and implement use cases involving blockchain technology that covers a wide-range of digital and physical industries. The platform itself will have DAO-like qualities backed by a global cryptocurrency, the Adelphoi token, which will be released after the first round of the ICO. Adel has recently been mentioned at Invest It In. Travin Keith, Marketing Manager of Adel and Board Member of the Nxt Foundation, explains in this interview titled “The Kickstarter for ICO’s” about both of Adel’s objectives and the benefits that the Nxt platform brings, as well as the role that the community will play. …The R&D team will release a few more projects before the ICO that will be proposed to the community. Recently, as a sneak preview, Adel’s R&D team has shared their very first project to be proposed to the community, a P2P ATM which will allow users to find people nearby who are willing to exchange coins and cash on-demand. The online magazine Fintech Finance has syndicated the fourth whitepaper of Adel, which has been recently published. 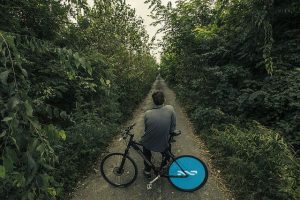 The article called Creating Value with Cryptocurrency goes over the possibilities that blockchain 2.0 brings to both financial and administrative sectors (mobility, resilience, privacy, cryptographic proof, improved financial system, lower transaction fees…) and the advantages that the 100% decentralized and revolutionary technologies that Nxt and Ardor platforms can offer, to build up a project as big as Adel. These traits include: PoS decentralized blockchain, phased transactions, monetary system, decentralized voting, decentralized marketplace, shuffling, and a decentralized asset exchange. Project Approvals: The establishment of a Project Review Committee which not only ensures that Adel will launch profitable businesses, but also represents legitimate, legal and ethical projects… Successful projects will prove sustainable, long-term growth, as well as global monetization potential for blockchain technologies. 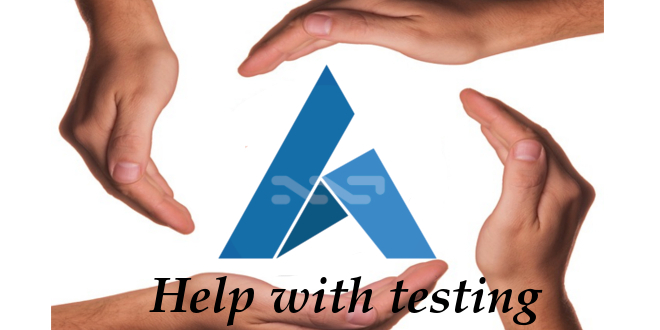 Support : After a project has been launched on Adel… the project manager will be adequately supported by the Adel staff, as well as community members participating throughout the lifetime of the project… in the form of expert advisory services, finding employees, and assistance with securing external funding, such as with venture capitalists. In this article at Search Engine Journal, Travin Keith, Board Member of the Nxt Foundation, goes over the revolution that the Raspberry Pi has caused in the tech world since its launch. The wide adoption of this small device, together with the communities that has emerged support this open-source project has allowed it. All together, the Raspberry Pi has enabled the development of thousands of projects that rely on this inexpensive device. The article goes over some of them, but what stands out among the projects mentioned is the inclusion of the RasPi in the blockchain world, specifically with the Nxt blockchain. With Nxt being the first and most evolved PoS platform, which has showed its security and resilience by running smoothly over the past three years, it still doesn’t require a network of super computers (that consume as much energy that a nuclear power plant can generate) to run. By setting up a Nxt node on a Raspberry Pi, you can easily participate in the Nxt ecosystem and help the block generation process in this feature-filled blockchain (called forging in Nxt), with an energy consumption of just a few watts per hour, which is probably less than the standby mode of your microwave. 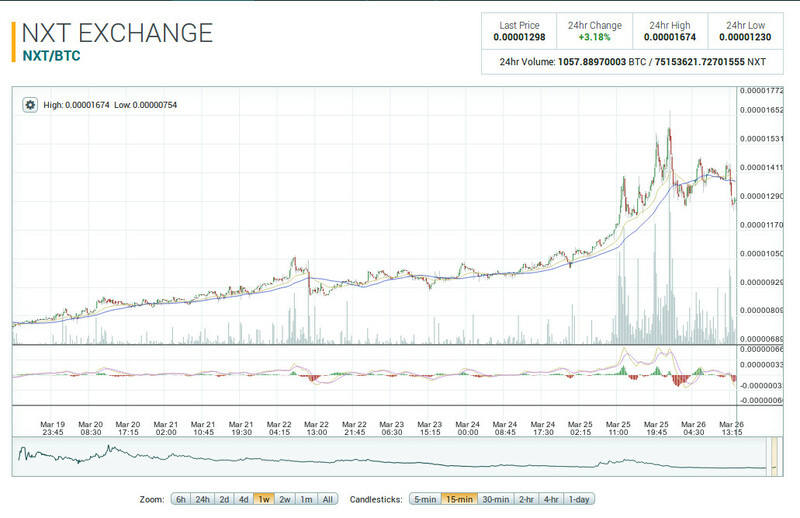 Such is an unimaginable achievement for PoW coins like Bitcoin. Additionally, as we mentioned in our previous newsletter, there are prototypes of solar-powered Nxt nodes built using a Raspberry Pi, such as the one made by Zuqka. The book has been done with great personal care by members of the Nxt community. Its contents include high quality chapters crafted by a wide-range of contributors: Nxt Foundation members, Core Developers, and community members. These include some well-recognized names within the community, such as: apenzl, abctc, Dave Pearce, Cassius, Lionel Jeannerat, RubénBC, Bas Wisselink, Daniel M. Ryan, Roberto Capodieci, and Robert Bold. For those of you who are interested in buying the First Book about Nxt and weren’t able to take advantage of all the early bird promotions, please contact @Ludom or @Apenzl through nxtforum.org or Slack to receive more details. Folks, in order to test the mobile app we need more 1.10.2 testnet nodes. Currently we have only 5 nodes out of which only 2 has open APIs and only one supports SSL. If someone can also setup SSL for the API peer that’s even better. The final objective of strengthening the Testnet is to be able to test the proper behaviour of the mobile phone app, which is already in an advanced stage of development and will come in really handy for a lot of users and will subsequently open up a new world of possibilities. 1 – The app is based on Html5, ionic (http://ionicframework.com/) and Cordova (https://cordova.apache.org/) being so, the same codebase should be able to support all the major mobile platforms with minimal customization. We will start with Android though. 2- Our aim is to create an app signed by the NXT foundation which will be deployed to the official app stores. 3- The app will use two modes: (a) “Mobile Friendly” – simplistic UI which looks good on mobile devices but with limited functionality which we will enhance gradually. (b) “Web Wallet” – which is essentially the existing browser UI with few minor modifications to make it usable on a small form factor devices. Users will be able to seamlessly switch between these two flavors. 4- The app will try to leverage mobile tech to enhance the user experience, for example by scanning QR codes using the mobile device camera instead of having to type or copy/paste data, where applicable. On a VPS the process took 1m45s from start to end, but that’s mainly because it has a fast internet connection. If you’re on a different distribution, here is the blockchain bootstrap. This way, we’ll always be able to install the latest stable version of the program and, when we search for updates for the system, Ubuntu will also have a look at that repository. If it finds a newer version, it will be automatically updated. The user JZA has announced a new group about Nxt on the Telegram platform. At the time of this writing, it already has 88 users. This new communication channel on this popular instant messaging application is an alternative to the official communication channels nxtforum.org and Slack. In this article, Bas Wisselink of the Nxt Foundation talks about a subject that it’s often left out when analyzing an open-source project- the project management structure. It may seem that developing an open-source project is completely anarchistic and has no structure, but previous experiences show us that that’s not true. Bas performs a short analysis of Bitcoin, Ethereum, and Nxt, comparing among them aspects such as if the Development team follows the “Cathedral” model (less open to external contribution) or the “Bazaar” model (more open to external contribution), whether the governance system follows the “Benevolent dictator” model (less open to participatory governance) or the “Formal meritocracy” model (more open to participatory governance). These three cryptos show major differences and some similarities in these aspects. Short after Nxt was invented, BCNext, the original developer, handed the project to the community that, at that time, was already formed. Anybody could step in and continue the development. Many developers joined and, step-by-step, all of them soon consolidated around Jean-Luc, who since then became the lead developer of Nxt with Lior Yaffe as Project Manager. The three cryptos share the same tripod of developers, “miners”, and entrepreneurs, in their governance system mixed together in different proportions and with different degrees of power for each agent. In the case of Nxt, a bunch of people with an entrepreneurial background established the Nxt Foundation with the aim to connect with real-world businesses with the platform. The Foundation tries to coordinate the community while carrying out marketing and sales campaigns. The Nxt Foundation does not incorporate core developers into its board, but both sides provide each other with feedback, such as about the needs and complaints of the users as well as the vision of the future of the platform. Ardor, for example, is a result of this collaboration. Alexandre Eich-Gozzi, member of the Nxt Foundation, explains in this article the complex procedures that are involved in international trade. Millions of documents and customs declarations are carried out every year where many agents with their own proprietary solutions get involved in each of them, trying to solve all the possible use cases that may come up when working with other agents and their own solutions, which are many and varied. All of this turns the process into something highly inefficient where many agents are involved: banks, business, transportation, chambers of commerce, customs departments, etc. The article elaborates on how blockchain technology could orchestrate this process, simplify it, reduce its cost, improve traceability and security, etc. In addition, the author goes over how a thorough operational prototype on Nxt’s blockchain was carried out to demonstrate that even today, it’s possible to address this complex issue, thus satisfying all of the agents involved.